Our U10 Boys Reach the IAPS National Swimming Finals! Congratulations to our U10 Boys Medley Relay Team who have qualified for the National IAPS Swimming Finals! Over 100 Schools from around the country attended the qualifiers at Stamford Endowed School on Thursday 8th March, and our boys came an outstanding 7th place with only the top 16 schools qualifying for the finals. The team are: Huw – backstroke, Henry – breaststroke, Fitz – butterfly, and Archie – front crawl. We are extremely proud of their phenomenal achievement! 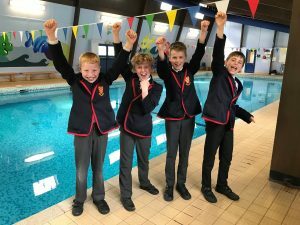 The boys have all worked really hard in their swimming lessons as well as in the Elite Swim Club run by Helen Blencoe, Huw Lloyd and Holly Cross. “I am super excited and extremely proud of the boys! This is such a huge achievement for them and a first for Grace Dieu! They have already done Grace Dieu so proud and are over the moon at the prospect of swimming at such a prestigious event in such an amazing venue!” says Director of Sport, Helen Blencoe. 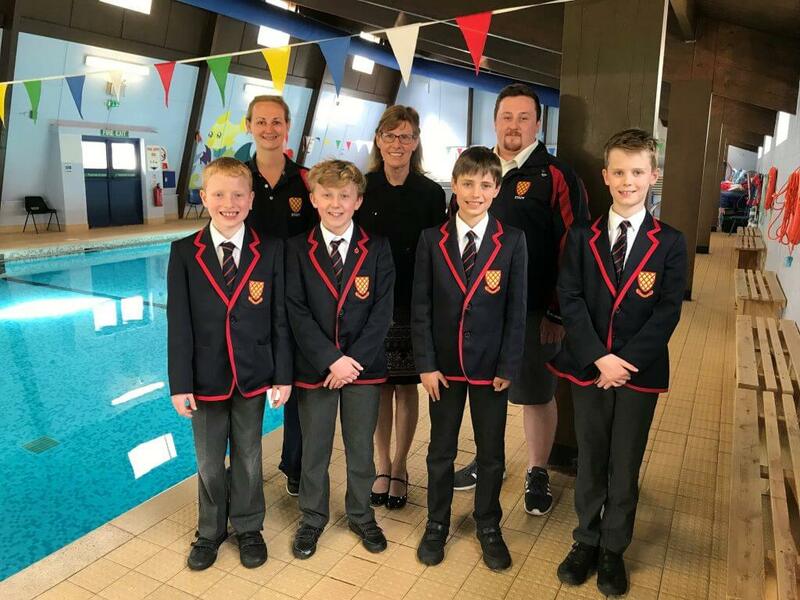 The team are now invited to the IAPS National Swimming Finals taking place on Saturday 9th June at the London Aquatic Centre, in the Olympic Park where the 2012 Olympics were held. We will all be cheering them on and if you would like to attend the final, spectator tickets can be purchased online for the event at trybooking.co.uk Let’s hear it for the boys!